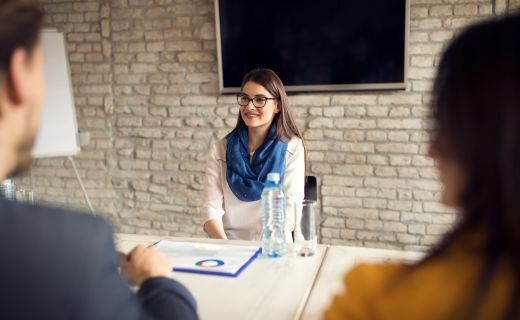 Making a good impression at interviews isn’t just about being well-informed and clear. It isn’t even about the way you present yourself and the confidence you show. The real impact you make will come from your inner energies, so you need to be spiritually empowered. Awaken your chakras and strengthen your throat chakra especially, to invoke respect and appreciation at interviews. The easiest way to understand chakras is to think of them as organs in your spiritual body. Your spiritual body is composed of energy called prana, chi, and many other names. It is the same type of force used in therapies like acupuncture. There are a number of chakras in your body, but we will look at the seven main ones, and the throat in particular. Chakra is a Sanskrit word meaning ‘wheel’, because the energy within them swirls. Your BASE CHAKRA is located at the base of your spine and is deep red. It rules your life force and survival instincts. When it works well it gives you health and vitality. The SACRAL CHAKRA is low in the abdomen and is amber. It is connected to your creative and sexual urges, your personal magnetism and your power to generate new ideas. The SOLAR PLEXUS chakra is located just behind your navel. It is golden yellow, like your personal ‘sun’. It is about personal power and confidence. It also links to creativity of a more artistic and individual nature. A strong Solar Plexus chakra is essential for self-esteem and success. The HEART CHAKRA is, as you would expect, close to your heart. A beautiful emerald green, it gives and attracts love, creates bonds with other humans and with Nature and connects you with all of life. The THIRD EYE CHAKRA is located between and just a little higher than the physical eyes, in the centre of the forehead. Coloured indigo, it relates to telepathy and psychic powers. The CROWN CHAKRA is at the top of the head and slightly above the physical crown. It is coloured violet but shades into pearly white as energies blossom from it in a brilliant shower. This chakra relates to the highest forms of spirituality, connecting you to the celestial realms. Opening your chakras is an important spiritual discipline, so take it seriously. Always protect yourself by imagining your space being cleared of negativity. You can do this by visualizing contamination as a grey cloud which you blow away. Or, for greater focus, use an incense stick called a ‘smudge stick’ to pass around your body, cleansing you with its fragrance. This is easily found in spiritual shops. Once your space is clear, light a candle and imagine a glowing orb of protection around you. Now lie down, relax and imagine that you are drawing energy up from the earth, through your feet and into your base chakra. You should feel a little shiver of power, like a mild electric shock, as your chakra responds. See this as a deep red glow. Stay relaxed, drawing the power into your sacral chakra, feeling that awaken, an amber radiance, and then into your golden solar plexus chakra. Comfortably, in your own time, draw the power up into your heart chakra. You may feel your chest expand with loving feelings as that gentle green centre awakens. Following this, draw the power into your throat chakra, experiencing this as a soft blue glow at the base of your throat. Remain resting for a while, then affirm that your chakras are closing. You can visualise them as eyes shutting or as flowers closing their petals. It is important to do this properly. If chakras are left open you may become depleted. Ensure that you are back in the here and now by eating and drinking something and placing palms to the floor. Please note, it may take several attempts before you feel anything. Do not give up and always close down consciously anyway. Be aware that if you open your chakras easily, your higher ones may open spontaneously, so close those down also, just in case. Imagine a shower of white light going down through your body, closing all the chakras like silver rain closing flower buds. Once you have opened your five lower chakras several times you can power up your throat chakra. As this chakra opens, imagine it becoming brighter and brighter. This chakra may be an electric blue, shading to a softer turquoise. Allow yourself to experience its purity. This may feel like a breath of fresh air passing through your being. Feel your entire body glowing, energized and vitalized. Each day before you get up, do the exercise of opening this chakra, Imagine yourself communicating very pleasantly, clearly and persuasively. See yourself truly listening to the other person also, really empathizing with what they want you to understand. See yourself thinking this through clearly, weighing it up fairly, and putting your answer into well-chosen words. Around you there is an aura of calm and reasonableness. You can imagine this as a soft blue aura. You are peaceful and balanced. As well as listening to others you are able to hear the voice of your own intuition, the voice of your own logic, also. Being calm and relaxed, you can assess things in a detached way, so getting better results. If you have an interview coming up, pay special attention to your throat chakra. Practice opening your first five chakras and then focus on your throat chakra. Do the visualisation exercise above and then imagine the interview going well. You communicate confidently and lucidly, you are composed and you listen carefully to what is said. If you don’t immediately understand, you ask for an explanation. Imagine an atmosphere of calmness and friendliness, smiles and approval, and imagine hearing that you have been successful. If you have to give a talk, once again do the exercise, imagining the throat chakra opening and shining. See yourself speaking clearly, at just the right speed, smiling, relaxing and coming across as warm but authoritative. When your talk is finished, picture applause and/or approval. You .an set your alarm clock so you spend five to ten minutes on this. When you finish, remember to close your chakras down thoroughly. To keep this chakra functioning well, wear something blue each day, even if this is only a scarf. A blue tie, necklace or brooch would be perfect. Wear blue jewellery – a lapis lazuli, aquamarine or blue sapphire ring for instance. When you get home, light a blue candle and relax for a while, thinking about the times in the day you have communicated well, and listened attentively. List these and form them into a scroll that you bind with blue ribbon. Repeat this daily or weekly, but do it regularly. If you feel your communication has been muddled, angry or anxious, breathe this out, affirming those negative experiences have gone. You have learnt from them. Now look at the candle and imagine breathing in confidence and clarity. You can also power your throat chakra by eating blue foods. These are hard to find, but do exist in blueberries and some cheeses. There may be other foods you can find in the supermarket that have a blue hue about them. Grow blue flowers and have pictures around you of blue skies. Soon you will have the good communication you want, but always use this responsibly. Chakra power is spiritual power, it is power to, not power over. If you want it to continue and to feel good about yourself, use it for the good of all. Now you know what your chakras are, how to open them and how to empower your throat chakra for strong communication. You have the tools to improve your life, but extra help is always useful. Our team of intuitive Readers can help you at any time so call today for the advice you need.